You are at:Home»Florida Tech Bound»What’s the True Cost of Going to College in Florida? What’s the True Cost of Going to College in Florida? The cost of going to college includes a number of factors, from tuition and books and room and board to the costs of living in a particular area. Another factor which should be taken into account is the number of years it takes a student to graduate, which has increased recently as more and more students are pursuing advanced degrees. So for students who want to go to college in Florida, what’s the true cost? 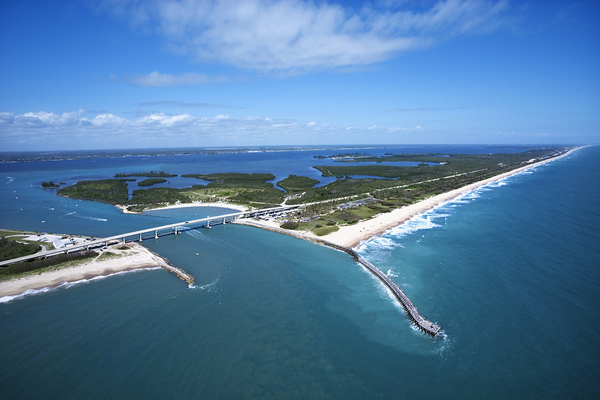 A view of the Sebastian Inlet and Beach in Melbourne, Florida. According to Sperling’s, the cost of living in the state of Florida is just about the same as the average cost of living in the United States as a whole. In addition, Florida has no state income tax and among the lowest state sales taxes, which makes it even more affordable. The weather in Florida also makes some purchases unnecessary, like heavy winter clothing, heating costs, and winter equipment like snow shovels, snow tires, and salt. As far as college tuition costs go, however, CNBC ranked Florida second only to Wyoming in college affordability. Average in-state tuition for public colleges in Florida was $6,360 in CNBC’s report, with private tuition coming in at $21,570. This does not include room and board and other costs like textbooks and materials. Still, going to college in Florida can save students thousands of dollars compared to other states, some of which have tuition costs twice as high as those in the Sunshine State. Even compared to the South as a whole, which has some of the lowest tuition costs in the country, Florida is several thousand dollars lower in average costs for both public and private colleges, according to College Board figures. A view of Miami’s beautiful skyline. Within the state of Florida, Melbourne boasts a lower cost of living than Florida as a whole. Both Paysa and Sperling rate Melbourne as having lower costs for housing, food, and transportation than both Florida and the U.S. as a whole. One of the biggest areas of savings in Melbourne is housing, which is a full 25 percent less than the Florida and U.S. averages for housing costs. Students benefit from these savings when they live off campus, and the affordability of room and board costs for colleges in the Melbourne area may be partly due to these numbers as well. 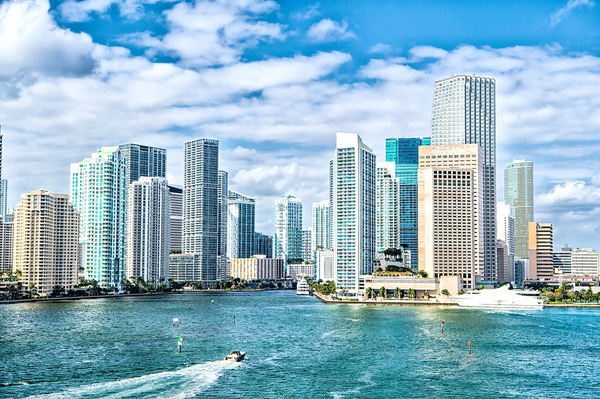 Miami’s cost of living is slightly higher than the national average, mainly because of the high cost of housing. Other costs like food and health care are lower than housing costs and balance them out. Students living on campus at Miami colleges may benefit more from Florida’s lower tuition rates than those who need to find housing off-campus with higher costs. The cost of housing in Tampa is well below the national average, making it an affordable place to live while going to college. Tampa also offers a relatively low cost of living in addition to its inexpensive housing costs. Students who live off-campus in Tampa and pay their own expenses will find it more affordable to do so there than many other college communities around the country. Ft. Myers has an average cost of living very similar to Florida as a whole. Housing, food, health care and transportation costs are all very similar to the national averages. Going to college in Ft. Myers will still result in savings, however, because of the generally lower tuition rates Florida colleges enjoy. The average U.S. college student graduates with over $37,000 in student loan debt, so the more affordable college costs are, the better students’ chances of beating those numbers. Some Florida colleges may offer work-study programs or paid internships that could help to offset the already low tuition and room and board costs. Florida Tech is a private Florida college located in Melbourne, Florida with satellite campuses in other locations. Students who attend Florida Tech to earn undergraduate or graduate degrees can benefit from the lower cost of living in Melbourne as well as competitive tuition rates and unparalleled opportunities that come with the southern coastal location. Apply now to take advantage of the many benefits of a Florida Tech education, and watch for our upcoming blog on Florida job growth for college graduates to see what the future holds!